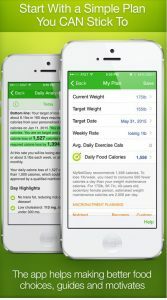 How do I track my macros or calories without writing everything out? Writing down every food we consume is tedious and time-consuming and, let’s face it, so last decade. I mean, who even knows how to write anymore? Don’t they just teach emoji-grammar in school? 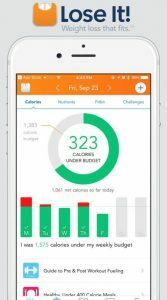 Luckily, with a few tap-tap’s of our thumbs, fitness apps on our phones or tablets can do all the calculations for us, and even tell us how many macros we have remaining throughout the day! 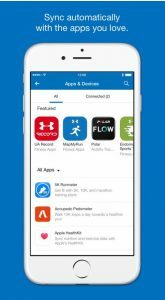 There are plenty of calorie-tracking apps you can download on your phone that take the grunt work out of tracking. Here are 5 I think are best for tracking your macros or caloric intake. Probably the best app for beginners or first-timers. 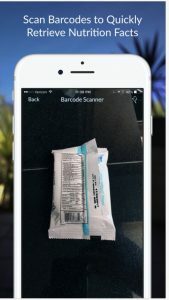 It is easy to navigate and user-friendly, not to mention it has every food you could imagine, along with a mostly-accurate barcode scanning system. You can save and re-use specific foods, and foods you eat often will always show up first in your search bar. 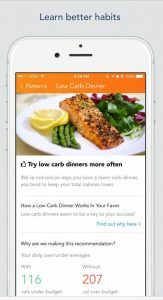 While you are not “allowed” to set your macronutrient goal (unless you subscribe monthly, but who has time/money for that when you could be out buying chicken breast? 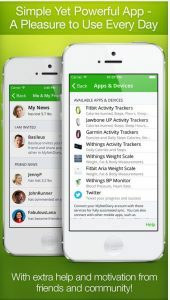 ), many people can set their calories to zero and track that way. They also provide a weekly breakdown of your nutrition as well as your daily macronutrient breakdown. This app was created by a former bodybuilder, so you know it’s legit. It’s great for people who have different macronutrient goals on different training days, and they have an extensive library of foods to search. 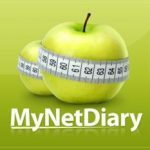 It allows you to save different macronutrient “goals” should you require a different caloric intake on non-exercise or more intense-exercise days. 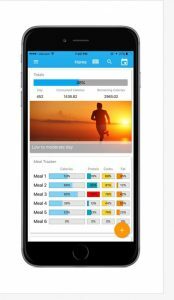 One thing I love about this app is it syncs up with the Avatar Nutrition app, a comprehensive, evidence-based virtual coaching platform that is only ~$10 per month. 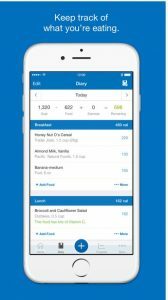 Almost exactly like MyFitnessPal, except if you pay for the “pro” app (just a one-time fee) then you are able to set your own macronutrient goals. 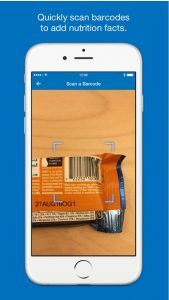 Just like myFitnessPal, it has a huge food library as well as a comprehensive barcode scanner. 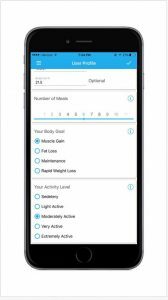 Be sure to scroll through your set-up settings as, just like most of the tracking apps out there, it can sync to your step counter or health app on your phone and may adjust your caloric needs based on how many steps you get in every day, which is not something you want turned on. 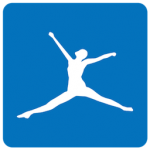 This app is relatively new, and costs a few dollars. 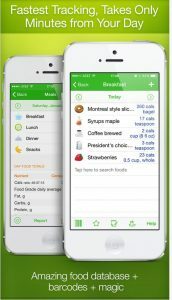 So far it has great reviews as a perfect app for beginners or “food rookies” who need some extra help along the way. 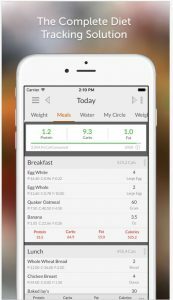 It has portion-ccontrol ideas and pop-up alerts (you can turn those off) to remind you to eat your next meal or weigh-in. Buyers beware: if you don’t turn off the setting, your macros will automatically adjust if you input body composition changes when you start to see results! So if you want to keep them the same be sure to search through the settings before getting started. This app is a new one, but it’s awesome for Apple users who want to sync it with the HealthKit on their iOS. 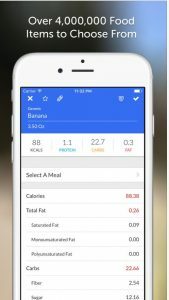 While it has many options, one of them is the availability to track your macronutrients (or even just your calories) under the “nutrients” tab. 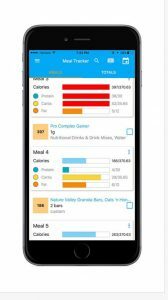 It can also suggest healthy restaurants nearby if you want to stick to your diet but also keep your foodie friends around. 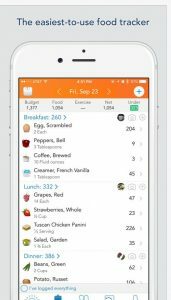 Hopefully this was beneficial in helping you pick out the best apps to try out if you’re new to the nutrition journey or just wanting to switch things up! 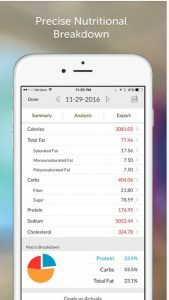 Leave a comment below on what YOUR favourite app is to track your macronutrient intake and why! 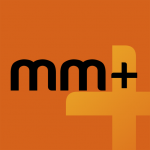 Check out TMR’s other posts! 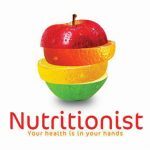 Previous Post: Is Organic Food BETTER for you?